The Power of Pain Foundation is seeking a volunteer who can commit to approximately 5 hours per month to run our 2016 Webinar project. Some media background is required. Duties include but are not limited to contacting speakers, confirming dates and times. You would provide confirmation details to Executive Director Ken Taylor in a timely manner for promo purposes. Set up webinar page, and run webinar software during events. POP President, Barby Ingle will be serving as host. If she is unable to host, you, the Webinar Director will fill in. The title of your position is IPF Webinar Director. The Power of Pain Foundation presents Faces of Pain 2014. The video features neuropathic information in both English and Spanish. Thank you to everyone who participated in this video. Without you it would not have been possible. Thank you Jane Gonzales for writing the beautiful song, My Only Consolation. Thank you Vanessa Lara-VanFleet, California Representative POPF for the translations. You did amazing as I knew you would. Thank you Kurtis VanFleet National Youth Ambassador POPF for the unique Photo’s. One taken in West Sacramento, the other in Sacramento CA. Thank you Barby Ingle, Ken Taylor. Together we can! And we do! 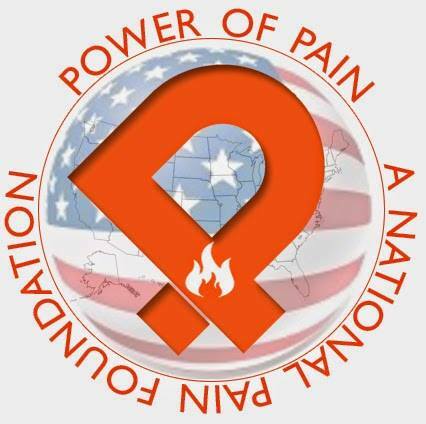 Power of Pain Foundation is a National 501(C)(3) Nonprofit charity serving the pain citizens of America through education, awareness, social events, and access to care services. Megan 15, Tori 15, and Gracie 11. Help These Girls Get the RSD/CRPS Treatment they need! 2 of the girls are 15 years old with RSD, one is only 11 with RSD. Please consider helping them reach their fundraising goals or by sharing their pages so that they might have an extra opportunity for better exposure. The girls will be featured by the Power of Pain Foundation’s Patient Fundraiser Program August 2014. As a CRPS/RSD patient myself, I would like to help their pages get noticed too, get the care they need, even if in this small way, so that they might have a better quality of life moving into their adult and teen years. They are each at a precious ages with school functions to look forward to, dances, activities to enjoy. Without pain relief this will not be as possible as most take for granted. As adults it is hard enough, most of us have gone through life lessons to teach us strategies for survival. Adults can barely manage. I believe young ones have it much harder. They need life experiences, good memories to build on. Their adult world comes soon enough. Any recognition for Megan, Tori and Gracie is much appreciated.